Tough to find an enamelware tumbler on the market, and tougher still to find a good one. The seamless & steadfast tall enamel tumbler ($36 for a set of two) is crafted in Europe, and they make sure to give the rim a double dip. 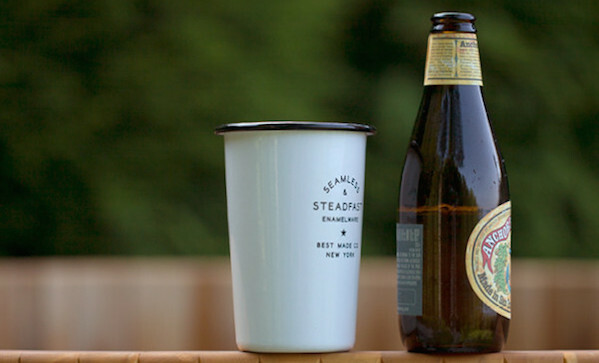 Oh, and these tumblers are stackable, which makes us think we have a new pint to take camping.